Looking for a fun holiday after-school or party treat for the kids? 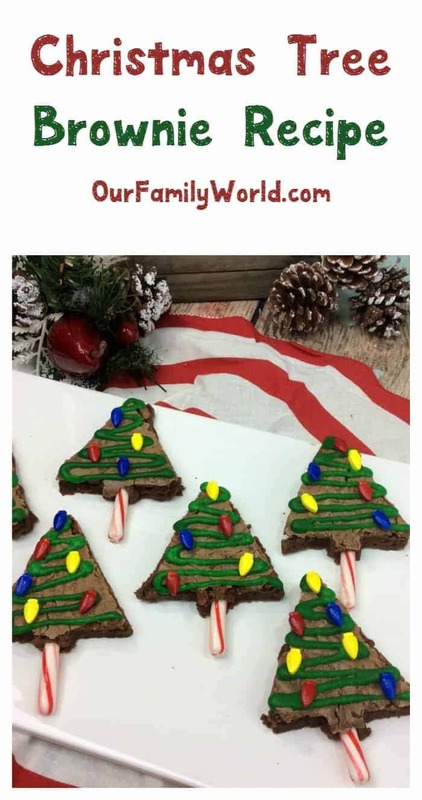 Check out this easy & cute Christmas tree shape brownie recipe! Ti’s the season to be jolly and bake, right? At least, for my daughter and me! We usually tackle our baking activity on Saturday afternoon and the boys (a.k.a my husband and son) are always eager to test our creations! As usual, we split the tasks: I prepare the mixes, cakes, etc and my little one decorates! It is a win-win situation: I dislike decorating but I love preparing! To get us into the holiday spirit, we decided to make this easy and cute Christmas tree shaped brownie recipe. It is easy because you can use your favorite brownie mix! and fun because kids can help you decorate it! Let’s see how you can make this delicious Christmas recipe. It is also a perfect homemade gift idea: for the grandparents, the hostess, teacher! Just wrap them in a nice box and you are ready to go! Using the mini candy canes, break the curve part of the candy cane and stick the straight part into the bottom of the brownie. Voilà. It is as easy at that! Aren’t they adorable? They’re so easy to make, you could whip them up as a special after-school treat during the holidays. They’re also perfect for all those parties the kids have at school (as long as you’re allowed to send in home baked goods, I know some schools have policies against it so ask first). Looking for more fun Christmas recipes? Check out a few more of my favorites! Peppermint Kisses Christmas Cookie Recipe for Kids: this is another fun one that the kids can help you make! Aren’t they so pretty? This North Pole Christmas Mocktail drink is the perfect non-alcoholic party drink to wash down all those tasty treats! You can use leftover candy canes from the Christmas tree shaped brownie. Looking for a fun cookie without all the sugar as a traditional sugar cookie recipe? Try these Honey Holiday Cookies! Do you have any favorite Christmas recipes that you love to make with your kids? Are you going to try out our Christmas tree shaped brownie? Share in the comments! 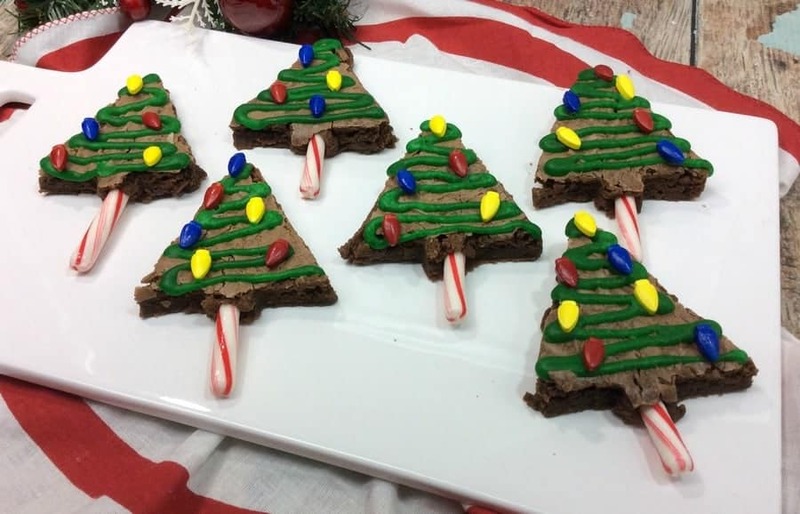 The Christmas Tree Brownies are so cute! We do have the no-baked policy at school. They would be great for the annual bake sale though, which is next week! Christmas is such a wonderful season of the year with home decorations and special recipes. A Christmas tree shaped brownie is such a good idea to make it so much fun and my kids are going to love them right away! I would love to make the brownie treats for my kids classes. They look cute and yummy. Thank you for sharing recipes! the mocktail drinks looks very nice, i love the concept of it. the christmas tree brownie think caught my attention, im sure kids would love it! What a lovely recipe idea! It’s really creative plus the kids will love those as well. It’s going to be a huge hit with them. Those brownies look great! I like that your whole family gets involved. I wondered how you got the triangle shape, so thanks for sharing.